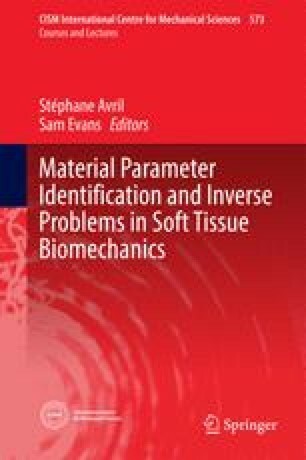 This chapter describes the main features of standard tests for a mechanical characterisation of biological materials, like uniaxial, biaxial and shear tests. After that, the inverse, mixed experimental/numerical methods will be introduced as a tool to create more freedom in the design of experiments and to make the transition from ex vivo testing to in vivo testing possible. A short introduction to the algorithms that can be used to minimise the difference between the experimental results and the numerical results will be discussed, followed by two practical examples applied to skin. The chapter finishes with a comparison between the advantages and disadvantages of in vivo and ex vivo testing.